Vitaly Lunkin is 38-years-old professional poker player from Russia and the proud winner of over $3 million in career tournament earnings. Lunkin got his first cash in a tournament in 2003 when he took down a pot-limit Omaha event at the Moscow Open in 2003. He earned almost $12,000 for that win. It wouldn’t be until 2006 that Lunkin would get his first World Series of Poker cash. He finished in the money in the Main Event that year for about $5,000 profit. The following year in 2007, Lunkin hit a score worth $25,500 in the Moscow Millions Main Event. Big things would happen to Vitaly come 2008. He traveled back to Las Vegas for the WSOP and placed first in the $1,500 No-Limit Hold’em event. 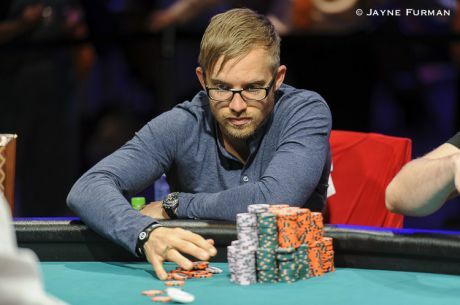 Lunkin earned $629,417 for the win, not to mention his first WSOP gold bracelet. In 2009, Lunkin cashed in the EPT Grand Final in Monte Carlo before returning to his home of Moscow, Russia for the Russian Poker Tour’s Main Event. The event was a $7,000 buy-in No-Limit Hold’em event and Lunkin walked away with the victory and over $440,000. That same month, Lunkin’s poker career would get a lot better back in Vegas. That is where a special $40,000 buy-in anniversary event was being held at the WSOP. That event attracted 201 of the toughest players in the game. When all said and done, Lunkin bested Isaac Haxton in heads-up play to earn the nearly $1.9 million first-place prize. It was not only considered one of the greatest tournament victories of all time, but also marked Lunkin’s second WSOP gold bracelet.